Today concludes our third week of home school. It has been a tough week. While our kitchen is still in shambles, we cleaned it up a little bit and have use of the kitchen table now. It has been particularly difficult getting into a routine with consistent classroom behavior. Our chore chart has been lost in the chaos and while we have a marble jar for classroom behavior, I’ve yet to have a system for individual accountability. It’s definitely been interesting and while the struggle is real, I am hanging in there. So complaints aside, here’s what we’ve been learning. This is our Johnny Appleseed Lapbook that we have been working on. We went to an apple orchard and read books on Johnny Appleseed and included math and science. 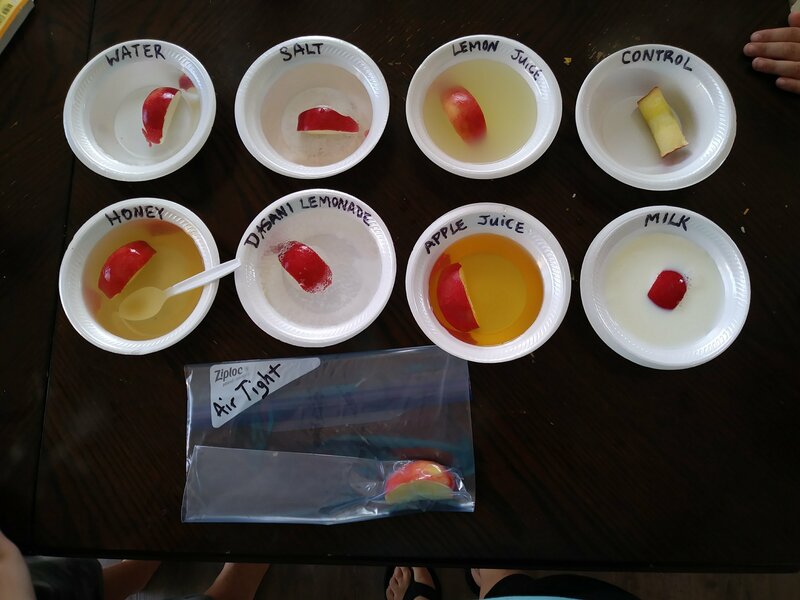 We guessed how many seeds were in the apples and learned how to prevent apple browning using the scientific method. Along with our journals and workbooks we are having a very educational year so far! Happy first day of fall ya’ll!